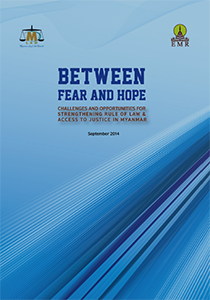 This September 2014 report by the Myanmar Legal Aid Network (MLAW) draws on in-depth qualitative research in Yangon Region and Mon State, identifying four priority justice concerns from respondents. 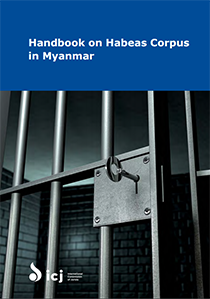 This May 2016 handbook by the International Commission of Jurists provides a legal analysis of the writ of habeas corpus in international law and within Myanmar’s legal framework, and concludes with recommendations for the ongoing reform process. 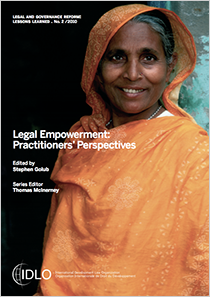 This 2010 publication from the International Development Law Organization is a rich compilation of detailed case studies on legal empowerment around the world. Topics range from land rights to livelihoods to discrimination. 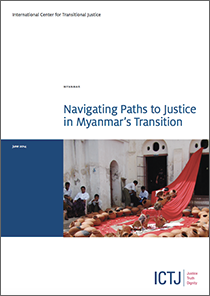 This July 2014 article by the International Center for Transitional Justice argues that dealing with past abuses in Myanmar is essential to achieving progress on the peace process and economic development. It concludes with recommendations on how to incorporate transitional justice into programmatic reform and development efforts.